It’s no secret that most traditional DOT Hazmat courses cover a broad range of information that does not apply to you. But the DOT Hazmat regulation stipulates that your training programs must cover your specific types of operations. This “function-specific” training is required for everyone who ships or receives hazardous materials. What makes this course unique and separates it from other standard DOT Hazmat courses is that it covers in-depth the requirements for selection of the packaging that should be used to satisfy DOT Hazmat Shipping requirements. 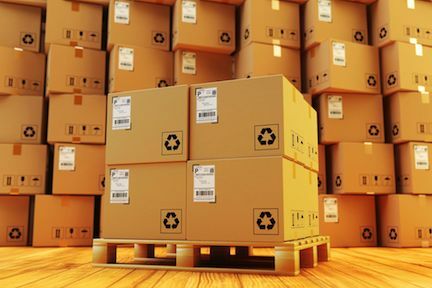 You might be in one of those types of operations where more discussion on appropriate package selection and the actual packaging requirements is important to your job. This course also will fulfill your tri-annual DOT refresher requirement. Upon completion you will receive 0.5 CEUs and a certificate documenting compliance with the DOT requirement. …then you need this course to guide you successfully through the seemingly never-ending list of regulations that control what you can and cannot do in regards to packaging/shipping hazardous materials. DO YOU SHIP HAZMAT DOMESTICALLY? The Secretary of Transportation has declared the material hazardous. The material is transported through, from or to the U.S. The material is in commerce. A regulated mode or modes of transportation are employed to transport the material. If you ship hazmat within the borders of the United States, you’ll need to earn a certification by completing DOT hazardous material packaging container training. How hazmat is packaged and the containers used to transport the materials are important factors when it comes to getting dangerous goods to their final destination safely. This makes training a requirement to ship hazardous materials anywhere in the U.S.
People who physically transport hazmat must receive the required training. Similarly, individuals who prepare hazmat for transport also need the appropriate training. If you package hazardous materials, you will need to earn an initial United States Department of Transportation packaging certification, and you’ll need to undergo further training every three years. As an employer, it is your responsibility to ensure your employees have the necessary training. If you want to break into an industry where you will package hazmat for transport, you can make yourself more readily employable by proactively completing a DOT hazmat packaging certification course with Hazmat School. DO YOU PACKAGE HAZARDOUS MATERIALS FOR SHIPMENT? It’s impossible to overstate the importance of DOT hazmat shipping courses for hazardous material packaging employees. When your employees have completed the necessary training and earned their certification, your business may be protected from costly fines and litigation if an incident occurs during transport or when hazardous materials are received at their destination. This type of training also has the potential to save lives and prevent injuries. DO YOU SELECT THE BOXES, DRUMS, CYLINDERS OR OTHER PACKAGING FOR YOUR PRODUCTS? Choosing the right packing for hazardous materials is a big responsibility. While some employers take this responsibility for granted, you shouldn’t. If your employees use the wrong kind of containers for hazmat, it can have serious consequences and result in bodily injuries, property damage or even death. To minimize the chances that any of those things could occur, you need to ensure your employees complete a domestic hazmat packaging course online with Hazmat School. Our classes will provide the training necessary to satisfy mandated training requirements for people who are at the start of their careers as well as professionals who need their hazmat refresher training. Penalties for failing to comply with DOT mandates as they relate to the packaging and transportation of dangerous goods are steep. In fact, companies can be fined $77,000 per day for every individual violation. Failure to have the right kind of training and certifications can lead to costly penalties of more than $460 per day, per violation. This list is far from complete. Even the packaging of everyday items like batteries requires employers and employees to have the requisite DOT training. Whether you pack and ship tons or a few pounds of hazardous materials every day, you must earn your United States Department of Transportation packaging certification to satisfy current mandates. Identified the specific type of packaging group for a particular type of shipment. Reviewed how to identify the specific types of packages that can be used with each packaging group. Reviewed the specific requirements for shipping hazardous materials including the need to consult with the manufacturer of the package type used. Demonstrated how to use the packaging identification codes. Reviewed what exceptions negate the need for these packaging requirements. Students will have to complete review sections along the way and a final exam at the end of the course. You will need a computer or iPad with Internet access and an email account. No text is required; all course materials are available online. The course will take approximately 5 hours to complete but you can come and go as you need.